Wilmington is an old Colonial port city and is known for its trade in shipping, agricultural processing, and, yes, flowers. The historic town center and waterfront are located along Cape Fear River is attractive in its historic beauty. Its historic interest and its location on the peninsula formed by the Cape Fear River on the west and the Atlantic Intracoastal Waterway on the east, cause the housing costs and cost of living to be a bit higher than other small North Carolina cities but any local will tell you the small jump in cost is worth it. Employment growth is very strong in Wilmington and continues to grow as more find the area. Because of the strong economy – the Wilmington real estate market is very strong too. The area is a healthy mix of new and old economy employers, and include International Paper and Louisiana Pacific, GE Nuclear Systems and Corning optical fiber, with a few pharmaceutical and biotech equipment firms thrown in for a pretty attractive mix of potential employers. There is a large regional hospital and medical complex. Wilmington may be a little far from big-city amenities and services, but there is nothing that you will miss here and there is the plus of the pleasant climate and family friendly residential sections. Wilmington is located along the southern Atlantic Coast of North Carolina. Because of the way that the coastline curves it puts the ocean about 5 miles east and 20 miles south. The surrounding area is typical of any coastal area, with low-lying land that sport rivers, creeks, and lakes. There is a considerable amount of swamp and marshland adjoining them with large wooded areas that alternate between cultivated fields. If fishing is what you live for, Wilmington has it all with black sea bass, grouper, snappers, and kings being common when offshore fishing. You can always catch a fishing charter to catch some huge yellowfin tuna! You might even catch the occasional wahoo or mahi that have been know to be caught here, depending on the season. These are fish you don’t typically find outside of the Gulf Stream. Fishing from the pier, you might snag a flounder, Spanish mackerel, speckled trout, and more. These great seafood options inspire locals to fish year-round. The Seahawks’ team colors are is an ocean themed palette of teal, gold, and blue, but teal is the color that really means team pride in Wilmington. The main colors were originally green and gold, but the recent shift to a less-standard color combination has let UNCW really stand out from the pack. Seahawk pride is #1, especially during during baseball, volleyball, and basketball seasons, the university’s stand-out sports. 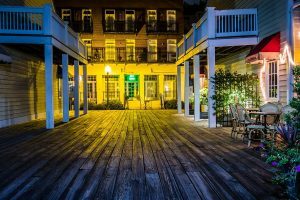 Wilmington is a city that is alive and there are always a plethora of events to bring together family and friends making it easy to connect with the local folks and blend in. The city hosts a long list of large, public events every season, including the spring Azalea Festival, and smaller art shows, craft workshops, and tons of active Meetup groups for people with a wide variety of interests like moms, foodies, golfers, you name it. When you live on the water in Wilmington, the holidays can only mean one thing, the Flotilla: The annual boat parade, which is currently in its 30th year. The parade involves decking boats out with epic Christmas lights and decorations. Some cities have house-decorating competitions, but in Wilmington, it’s all about the boat parade. One of the oldest festivals of its kind in the country, the North Carolina Jazz Festival has been a yearly tradition in Wilmington for 35 years and features performances from world-renowned musicians. The Festival also includes workshops for aspiring locals that include everything from fishing to crocheting. You won’t have to drive far if you want to dig your toes in the sand as there are many beaches within a half hour drive of Wilmington, and, just ask anyone living there, the truth is that Carolina beaches are among the prettiest in America. Three of the local favorites are Kure Beach, Wrightsville Beach, and Carolina Beach. So, whether you’re in the mood for walking on the boardwalks, deep sea fishing, early morning swims, or evening nature walks, Wilmington, North Carolina has you covered. New Orleans is known by many names: the Big Easy, New Orleanians like to take it easy. Life seems to slow down here and people take the time to get to know one another; The Crescent City, the mighty Mississippi River cuts through the heart of the city and give New Orleans it the unique shape of a crescent moon; The City That Care Forgot, Some say this name comes from the idea that people can forget their cares here, others say that the name refers to New Orleans’ history of trials and tribulation. Making countless top 10 lists, The Big Easy has become a top spot to not only visit, but to live. And why shouldn’t it be? Located on the Gulf Coast, the city serves as a natural gateway. And relatively low taxes and low costs of living make it a no-brainer when you consider the incredible amount of contributions the city has to offer. No matter the time of year, there is always a festival going on somewhere in New Orleans or on the Northshore. The people of New Orleans celebrate everything from the Day of the Dead to the well known Mardi Gras hoopla every spring. You can be assured, If you’re here on a weekend, there’s a strong chance that a festival is going on somewhere and that means great music, incredible food, friendly people, and strong drinks. Once you get to the city you will want to explore! Taking tours and reading brochures are great and support the economy but if you want to get to know the city, you’ll want to get out and discover for yourself the mysteries that the city of New Orleans holds within her myriad of neighborhoods and nooks. The city holds a wonderful old world quality that makes this particular activity so much fun. Pick a somewhere like the French Quarter or Uptown, and just see what you can find. Consider bringing a bike or at least good walking shoes. New Orleans is famous for it’s streetcars and rightly so as they have some serious history. Its St. Charles line, known as the green cars, serves as the oldest continually operating public rail transportation in the entire world! 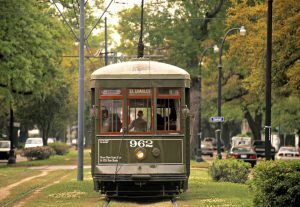 Most cities in the country updated their streetcar lines and trolley cars to buses, however, New Orleans, ever hesitant to embrace change, decided to keep its major streetcar lines adding to the ambience that now infiltrates the city. Due to the popularity, cost efficiency, and low pollution of the green line streetcars, new lines, known as the red cars, are currently being added throughout the city and more are in the works for the future. New Orleans has no hills, if you don’t count the man-made levees and Monkey Hill at the Audubon Zoo, making it a perfect city for biking. Recent road reconstruction in the city has created almost 100 new miles of bike paths and has made bike lanes on most of it’s major avenues. 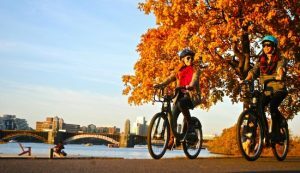 It’s one of the more fun and easier ways to get around and now the city offers bike kiosks where you can rent a bike in one place and return it at another. New Orleans has become one of the most visited cities in America. The culturally rich city offers a large variety of major attractions, from the electrifying clubs on Frenchmen Street and the old-world charm of the French Quarter to the oak tree lined, St. Charles Avenue (home to both Tulane and Loyola Universities) and many of the stately 19th-century mansions. 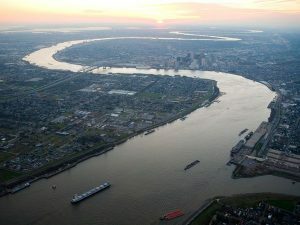 The city is located in the southeastern most tip of Louisiana with the Mississippi River cutting through it’s heart. The state of Louisiana is known for some of the best fishing in the country and NOLA is built around water. Many people fly into New Orleans to take a fishing charter out of Venice LA. New Orleans It is bordered on one side by the manmade Lake Pontchartrain to the north and the Gulf of Mexico to the east. New Orleans is named after Philippe II, Duke of Orléans, Regent of France, and is one of the oldest cities in the United States. The city is known for its multicultural heritage as well as its music and cuisine, and is considered the birthplace of jazz. A mortgage broker is an independent real-estate financing professional who specializes in the origination of residential mortgage loans. 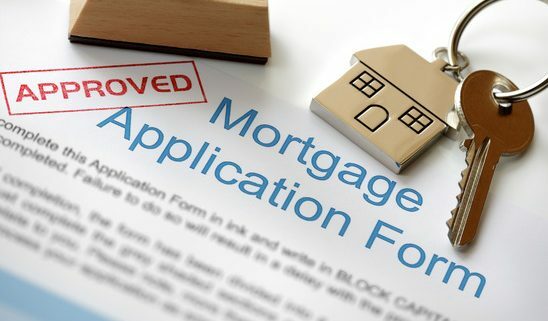 Mortgage brokers normally pass the actual funding and servicing of loans on to wholesale lending sources. Getting a mortgage brokers license is not easy and also requires yearly continuing education. A mortgage broker is also an independent contractor working with, on average, as many as forty lenders at any one time, claims the EducatedMortgageServices.com website. “By combining professional expertise with direct access to hundreds of loan products, your broker provides the most efficient way to obtain financing tailored to your specific financial goals,” according to EducatedMortgageServices.com. Most people that are buying a home require a mortgage to do so. Whether you are buying a home in Wilmington, Panama City Beach, Boston or Dallas – 93% of home purchases require a mortgage. Even if you have the cash to purchase the property, the rates on a mortgage coupled with the tax benefits make it a no-brainer. That’s why you need a mortgage broker to act as a liaison between the title and escrow company, real estate agent, lender, appraiser, credit agency, the underwriters, the processors, attorneys, and any other services which may affect your transaction. Sit down with your loan officer (even if it costs you) for a strategy session,OwnerFinanceAtlanta.com recommends. Get them to make three or four specific suggestions that you can take action on over the next 6 months. Then, go and do the tasks suggested. Come back in six months for another session to check your status and get suggestions for the next six months. Step by step, you’ll eventually reach your credit goal and be on your way to purchasing your new home. Buying a Home in Wilmington? If you’re looking for a good place to live, to purchase your dream home and find a career and possibly even start a family, look no further than Wilmington, North Carolina. On the coast of the Atlantic Ocean, Wilmington NC is in the southeastern tip of North Carolina. With a little over 100,000 residents in city limits, and a little over 260,000 residents in the metropolitan area, Wilmington has perfected the mesh of the historically charming small-town, southern life with the comfort and convenience of the big city amenities. Over the last decade or so, Wilmington has attracted and maintained a very favorable business attitude, which combined with the abundance of arts and culture, the top-of-the-line higher education establishments, and the gorgeous East Coast beaches, has garnered Wilmington, North Carolina’s healthy and expanding real estate market. Wilmington is often found at the top of lists of cities in which to invest in real estate. Lastly many people travel to Wilmington for the sandy beaches and historical importance. Whether you’re in town for the swimming in the ocean and sunbathing on the beaches, or to visit the many restaurants, shops, museums, or the World War II battleship, North Carolina, you’re sure to fall in love with this picturesque southern town. Feeling like you want to move here? 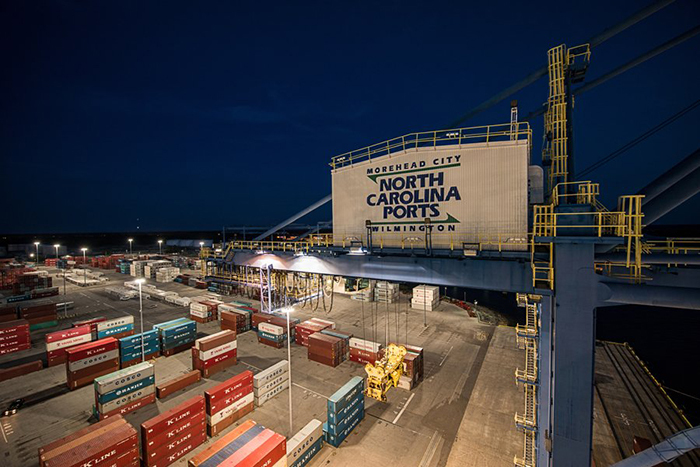 Don’t feel afraid of finding a good career to support your lifestyle—many industry giants call Wilmington their home, like General Electric, DuPont and more. Wilmington has also been recognized as a great place to start your own business or buy your first home. Want to raise your family here? New Hanover Schools are considered one of the best school systems in the state. Wilmington is also home to The University of North Carolina at Wilmington (UNC-W), which, among other fields of study, has a nationally accredited business school and one of the best marine biology programs in the world. And to account for your older self, the reasonable cost of living, low taxes, quality health care, temperate climate, and opportunities for culture and recreation make North Carolina one of the best places in the country to retire. There is no shortage of friendly neighborhoods with that good ‘ole southern charm in Wilmington, North Carolina. With several new home developments, some established golfing neighborhoods, and the historic neighborhoods, there’s a wide variety of real estate within Wilmington. Golfing neighborhoods include Porter’s Neck Plantation, Echo Farms, Cape Fear Country Club, and Landfall. New home developments include Marsh Oaks, Parkside at Mayfaire, Seagrove, Tanbridge Park, The Villages at Summerset, Weldon, Salt Grass, Stones Edge, Anchor’s Bend, Clarendon Park, Sycamore Grove, Covil Crossing. And finally, some of the historic neighborhoods include Castle Hayne, Pine Valley Estates, Forest Hills, Sunset Park, Historic Downtown Wilmington, Myrtle Grove, Masonboro, Monkey Junction, Ogden, Bradley Creek, and Wrightsboro. About 72% of Wilmington is White, while 20% is Black, and 6% Hispanic. 18% of residents are under 18 years of age, 17% aged 18 to 24, and nearly 30% aged 25 to 44. The median age in Wilmington is around 34 years old. 34% of residents are married couples, and about 20% have children under 18 living at home. Nearly 50% of residents were non-families. The median household income in Wilmington is right above $30,000, and for families the median income is right about $42,000. http://www.orlando-real-estate.biz/wp-content/uploads/2017/10/wilmington-real-estate.jpg 558 1200 administrator http://www.orlando-real-estate.biz/wp-content/uploads/2017/10/real-estate-logo-e1506962795518-300x174.jpg administrator2017-10-02 20:23:472017-12-11 00:15:19Buying a Home in Wilmington?